Djenné-Djeno’s many archaeological and cultural artifacts reveal a complex society dating from 250 B.C. It is among the best-known archeology sites in sub-Saharan Africa and the oldest urbanized centers. Less than two miles (a mere three kilometers) southeast of the modern village of Djenné, Djenné-Djeno was abandoned by the sixteenth century, and remained undiscovered until the 1970s. Looters in search of antiquities dug massive trenches, which led to flooding. In one of its many efforts to preserve the site, the Mali government established the Mission Culturelle à Djenné in 1993, but looters in search of the astonishing terracotta figurines of humans and animals continued to cause damage, disturb soil, and cause water erosion. 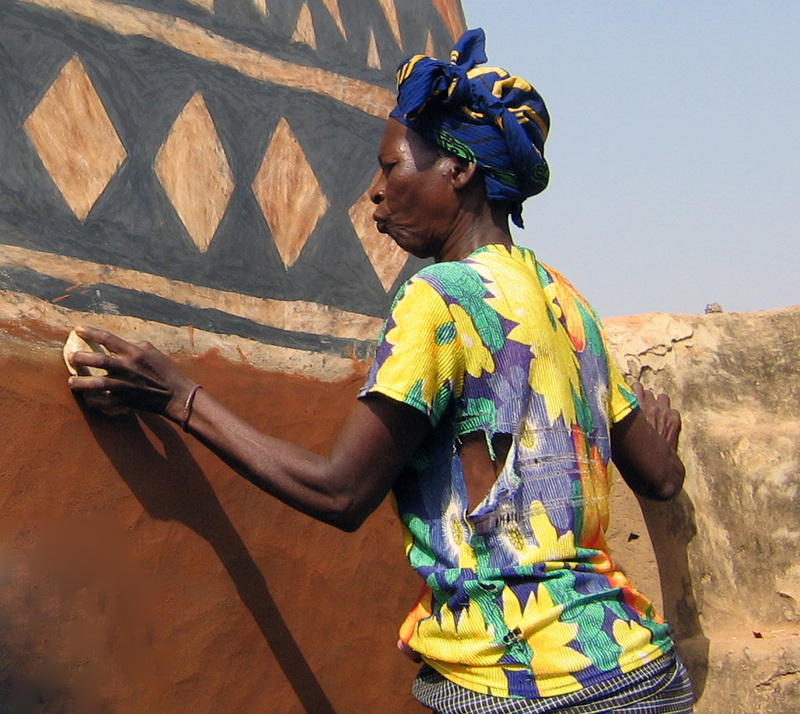 While looting was curtailed by a major education initiative through the Mission Culturelle and by protections of UNESCO, which inscribed Djenné-Djeno as a World Heritage Site, the environmental damage was not reversed. Through funding from American Express, we assisted the Mission Culturelle in salvaging excavations by creating non-intrusive erosion barricades of bagged earth, stones, and waste-wood. The effort was almost thwarted by unusually early flooding in the Middle Niger, but the necessary plants were grown in greenhouses and later transplanted to the site’s periphery. This planted greenbelt of thick, indigenous foliage prevented future erosion. A large ravine on the western edge of the site was filled with locally available materials to also slow the flow of rainwater and prevent damage. Students and Peace Corps volunteers assisted in training efforts at the site to address conservation needs and improve anti-looting measures. Guards and guides were hired to assure systematic adoption of management tools to protect the site more fully, and a small museum housing excavated artifacts was built nearby. These conservation efforts and protective measures revived Djenné-Djeno as a useful archaeological site where trained professionals, students, and volunteers can properly excavate, study, and deliver objects to the museum.